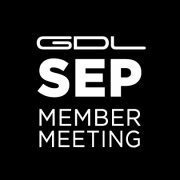 Please find attached the Meeting notes and presentation form our members meeting in September. 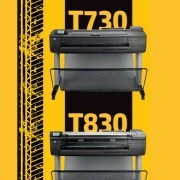 The new HP T730 and T830 Designjets were released at the end of last year. 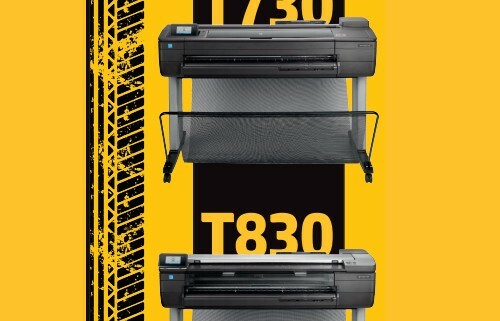 These robust, highly mobile, WiFi enabled large format printers have been designed with the construction industry in mind – specifically to withstand being moved from one construction site to another. 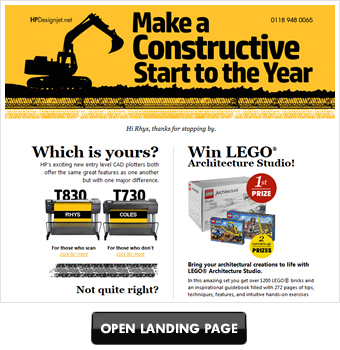 So naturally we opted for a construction themed look and feel to our promotions. We decided it would be an interesting hook to send personalised “press-out” 3D models of the T730 printer so that recipients can build their own printer and have it sit on their desk. The A5 artwork of the printer includes the pURL to the competition / promo landing page. The envelope carries the message “, there’s a printer with your name on it inside. Oh, and it’s FREE.” Click on the images below. The little Lego dude is there to show scale. This HP campaign is LIVE – we’re actually only halfway through and these have yet to be sent. 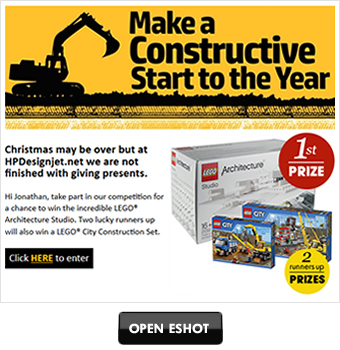 We have sent the following eshot to just over 2,000 people. 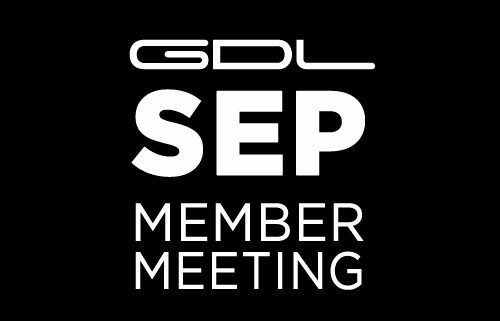 Results are as follows.. The following data reflects individuals that opened the eshot, clicked onto the landing page and then proceeded to “find out more” about the HP machines..